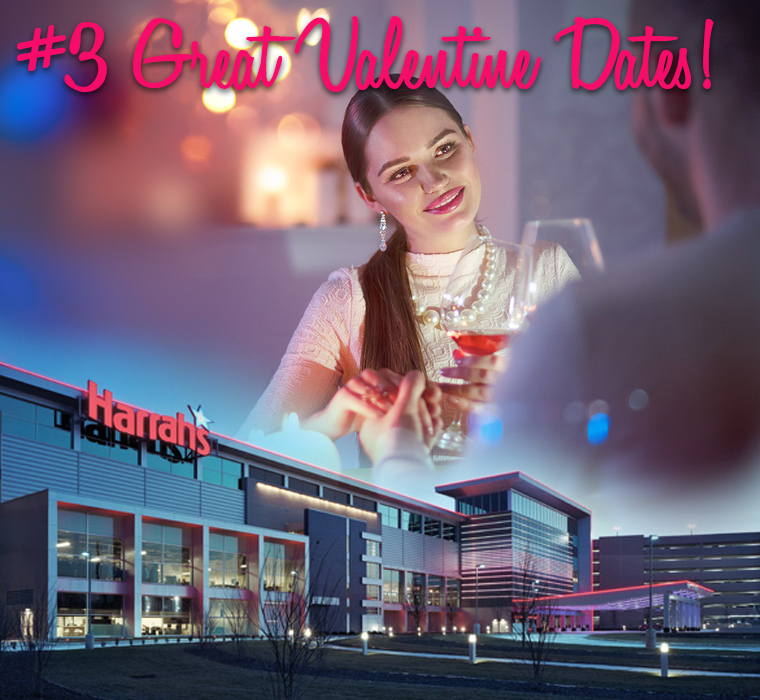 If love’s a gamble, then why not get ‘playful’ this year at Harrah's Philadelphia Casino and Race Track, where you'll find outstanding food and lots of games that could win you more than love! 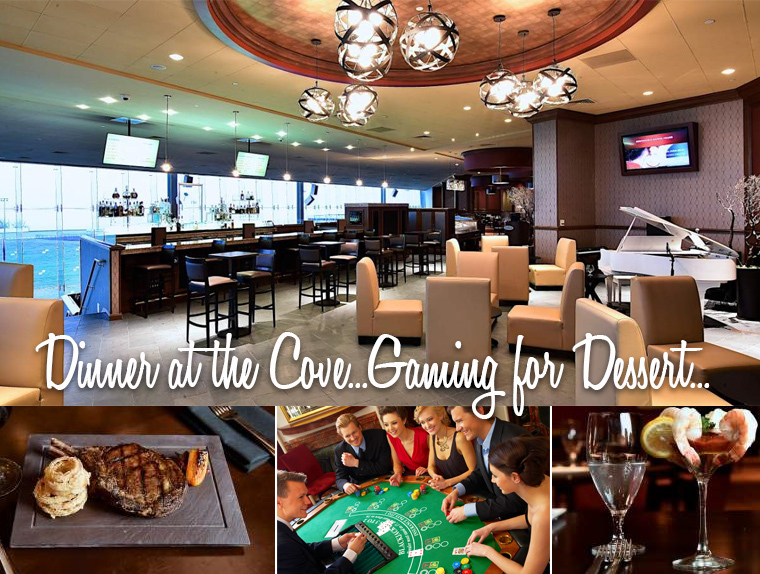 Harrah’s beautiful COVE STEAKHOUSE & RAW BAR is ranked among the Top 10 Best Steakhouses Philadelphia by OpenTable. Open for dinner three nights a week (including February 14th-17th), the chef and his all-star team have created top notch dining, wine and dessert menus with sumptuous offerings that embrace the best of Philadelphia. Starters include East and West Coast Oysters, Middle Neck Clams,colossal Maryland Crab Cocktails a Chilled Seafood Tower pictures above. Main courses include steaks options like both a 14 and 20 oz King Cut Black Angus Prime Rib, plus an American Wagyu Burger, Skuna Bay Salmon, Barneget Inlet Scallops, Griggstown Farm Chicken, Jumbo lump crab stuffed Cape May flounder, and a Shellfish Trio of lobster tail, scallops and grilled shrimp. Stay on your side of the bundling bed! By comparing marriage records with subsequent birth records, historians saw that by the late 18th century, 30 to 40% of American brides were pregnant at their weddings. Society wasn't really upset that the girls were pregnant, as long as they married the father. But not all men were honorable...especially as towns and cities began drawing more and more unsupervised, strange men to work in seaports and industry. Colonial society came up with an ingenious solution. A young man would suggest to his parents that he liked a girl from a nearby farm. He'd promise no hanky panky would go on, and the parents would help arrange for the boy and girl to live together. Through a practice called "Bundling," the unmarried couple could sleep together with a plank placed between them. And while hanky panky often did occur, if the girl got pregnant there would be plenty of witnesses to claim that the father was the boy with access and opportunity. So he hand to 'put a ring on it'. No ruination for the girl, no fatherless child, no shame for the parents. 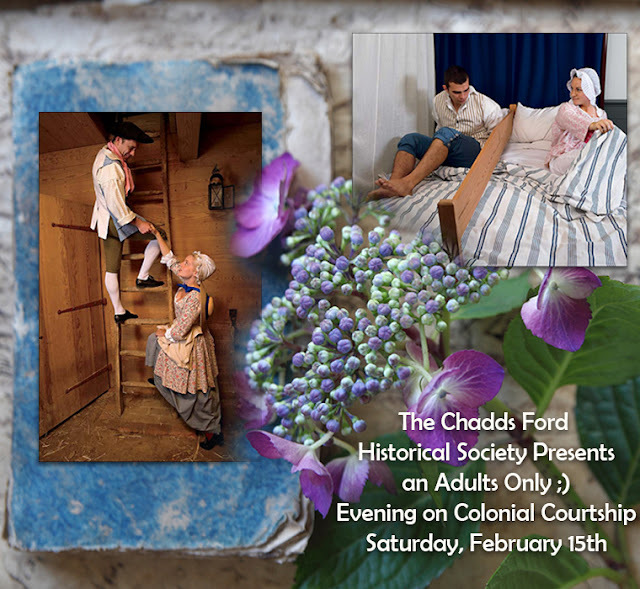 Make dating history February 15th when the Chadds Ford Historical Society presents a 'hands on' adults-only evening of food, spirits, guest speakers, tasty demonstrations and interactive games. This month's Colonial Courtship & Victorian Valentines Event will help you up your dating game by learning the arts of historic courtship, superstitions, and traditions. Guests will watch chocolate-making demonstrations, participate in an English country dance, delight in historical chocolate pairings, create their own Victorian Valentines and more! Parking is available behind the Barns-Brinton House or in the lot behind the businesses next door. To access parking, enter at the light at Ponds Edge Road, then turn right into the first parking area. 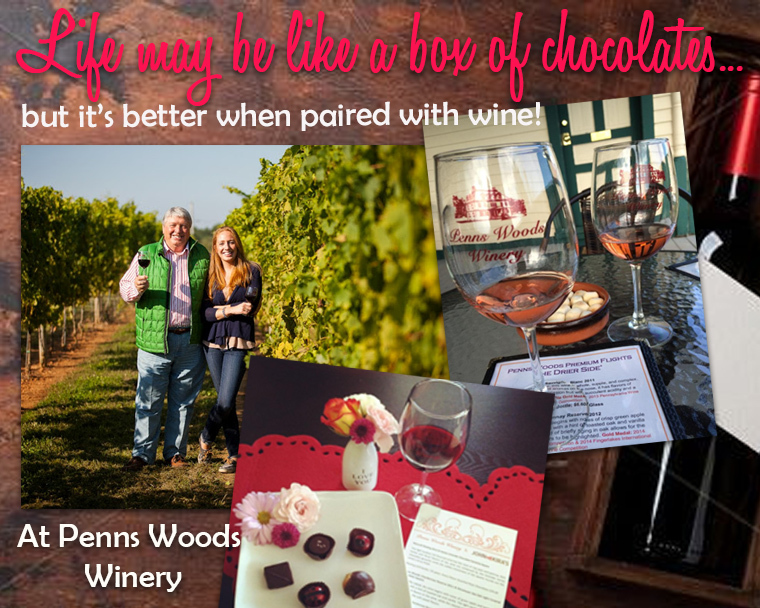 With over 40 years of experience in the wine business, winemaker Gino Razzi, and his daughter Carley Mack, pictured above, produce award winning wines from our own Pennsylvania-grown grapes. Their wines are featured in restaurants throughout Philadelphia and its suburbs. And their tasting room in Chadds Ford provides an all-around vineyard experience, hosting live music, food and wine pairings, and other exciting events each weekend. Your table will be set upon arrival with Riedel wine glasses, your chosen bottle, and fondue selection. Their Tasting Room will be open from noon to 9pm, with the last seating being at 8:00. Be sure to check their website below for sold out dates!